A properly installed waterproof membrane should last at least 20 years on a flat roof; however, that depends on the installation. In some situations, the membrane can start to leak, which could cause mold. Fortunately, annual assessments of your flat roof can help you discover membrane leaks before they get out of hand. Although flat roofs are called flat, they do have an angle to them. The angle built into a flat roof isn’t as steep as that of residential rooftops, so it’s important that you make sure that your roof is draining properly. An annual inspection during the fall can help you ensure that your rainwater outlets aren’t blocked by loose leaves and other debris. Even though your flat roof is designed to be energy efficient, over time it can deteriorate and not perform as it should. As such, the loss of heat can lead to the formation of ice dams in the winter. Ice dams can damage your flat roof. At A Plus Roofing, we look for repairs of this damage caused by ice dams. 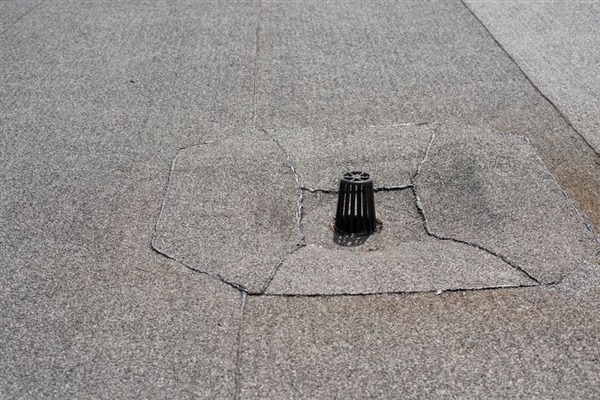 Fortunately, simple, yet strategic fixes can improve the condition of your flat roof. Holes can appear in many different places when it comes to your flat roof. Unfortunately, if you have a hole, then you are losing energy, and you may develop a leak. An annual roof inspection will help you determine what areas of your flat roof should be patched up to prevent it from deteriorating further. Your roof is critical to keeping your employees protected from the elements. By getting your roof inspected, you eliminate minor problems that can create major problems in the future. When you fix minor problems, you avoid costly future repairs. Don’t skip your roof inspection. Call our team today and set up an appointment for your annual flat roof inspection. Additionally, if you need a new roof, we can help you determine the best roof for your commercial building.